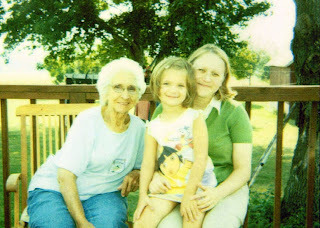 On Friday, July 17th my grandmother passed away. It was not unexpected as she'd been hospitalized on the 11th. I thought it only fitting to post some photos as a celebration of her life. I think she would have approved, had she known how to use the Internet or a computer for that matter. So consider this a stroll down memory lane. 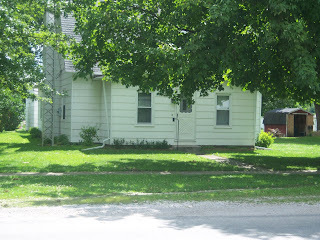 There's a picture of the house where she lived and I have so many childhood memories. There's the park where I spent many a summer playing with no cares. And I remember when they built this, back then it was painted green and yellow. I remember Grandma taking me to the park when I was young and in later years going by myself. 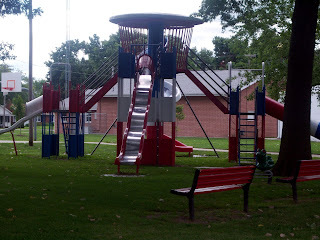 I remember the sheets of wax paper she would give me so I could go down the slide faster. And thinking to myself how smart she was to figure out a way for me to go faster. 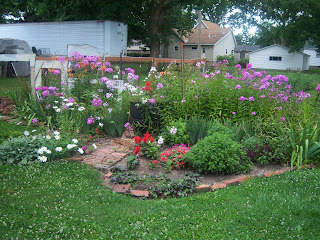 And it wouldn't seem right if I didn't include a snapshot of her garden. I'll miss the big garden with all it's fresh veggies in the summer. And her flower were lovely. She did seem to enjoy weeding. Who will do it now? I thought it'd be fitting to take a picture of her entire brood. It's the first time we've all been together in years. 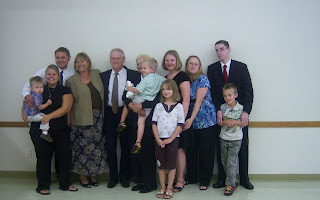 There's her two girls, my dad (her remaining son-in-law), six grandchildren and five great grandchildren. That's three generations. We've all decided that we definitely need to get together more often. And not just for funerals. Which is the reasons I've been home as of late. I had to include a photo of me and my grandma at the end of this post. It had been three years since I had last seen her. 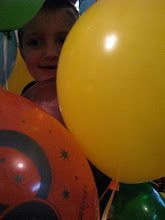 I don't have that many pictures of the two of us together, so I will treasure this one. Everyone has their favorite memories of her. She was a contrary person and I know we'd referred to her as a tough old bird, but she will be missed.